Just like that, another Movember has come to an end. What an effort we’ve made, and impact we’ve had! London Honda Mo Bros and Mo Sistas – $138 raised!! 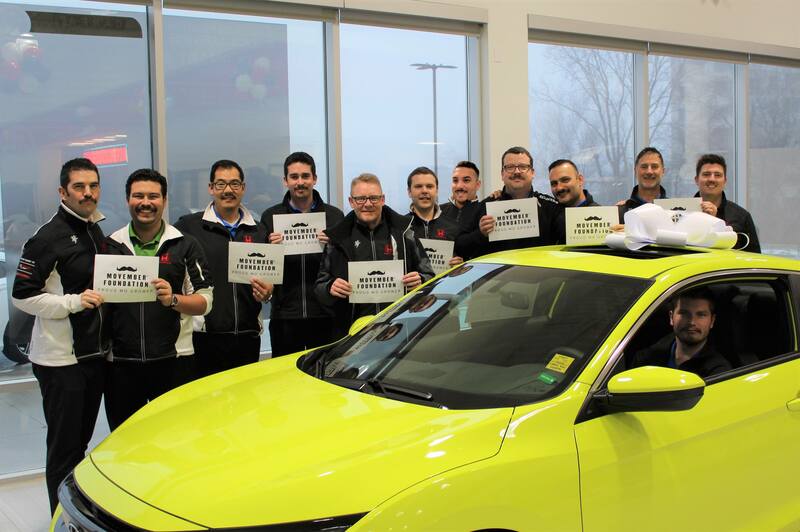 AutoPoint Canada Group Mo Bros and Mo Sistas – $4,281 raised!! What an effort! The funds we raised will help Movember stop men dying too young – contributing to groundbreaking projects in prostate cancer, testicular cancer, mental health and suicide prevention. Now that’s something to be proud of. Aside from the moustaches Grown, the Moves made – our team’s efforts are inspiring life-changing conversations about men’s health. These chats are empowering men to take action and break down stigmas – in many cases, saving lives. Something every Mo Bro and Mo Sista should be very proud of. We’ll never know how many lives we’ve changed or saved, but we certainly can hold our heads high. This Movember, we teamed up to stop men dying too young.